imagePROGRAF W8200Pg - American Business Copiers, Inc. 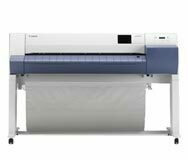 The 44-inch imagePROGRAF W8200Pg with pigment ink is Canon's largest model to date and the first with pigment ink. Canon's own original technology pigment ink delivers color-fast prints that go far beyond what is expected from pigment ink. 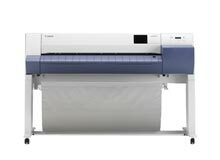 The 44-inch imagePROGRAF W8200Pg large format printer combines the speed and quality already associated with the imagePROGRAF name, with our own pigment (Pg) inks. Canon’s original technology Pg inks deliver brilliant and color fast prints that exceeds all expectations. The imagePROGRAF W8200Pg utilizes Canon’s revolutionary 1-inch wide print head with 7,680 nozzles for unmatched print speeds. Quality is controlled by Canon’s MicroFine Droplet Technolgy that ensures crisp, clear, high quality output.